Trips to Hay Festival events in Colombia, Peru, Spain, Mexico and Wales are part of the Hay Festival International Fellowship awarded each year to a Welsh writer. 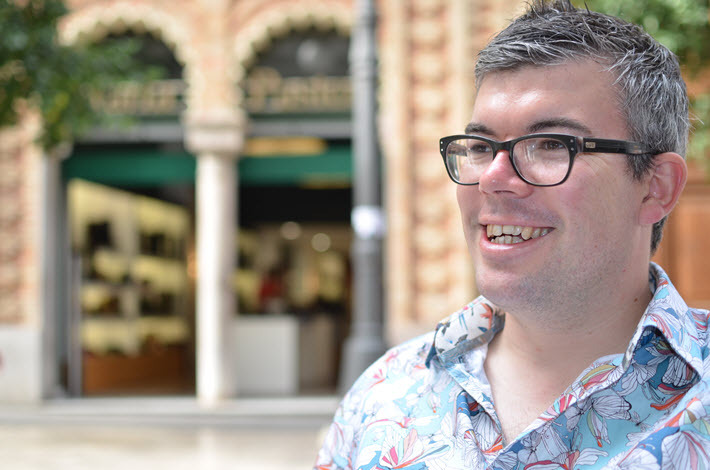 One of the more enviable fellowship programs, the Cymrawd Rhyngwladol Cymru Greadigol is the Hay Festival’s Creative Wales International Fellow honor, which was announced on Wednesday (February 14) to has gone to Dylan Moore from Newport. The program will send the English teacher, writer, and editor to the Hay Festival’s iterations in Colombia, Spain, Peru, Mexico, and, of course, Wales, in partnership with the Arts Council of Wales. The fellowship is open to “exceptional, ambitious, and imaginative creative” writers from Wales. The concept of the program is to provide its honoree with career development and to boost Wales’ artistic profile in the process. Applications were received for the fellowship following a public offering, with the selection made by a panel of previous fellows. Dylan Moore is editor of the Welsh Agenda—the magazine for the Institute of Welsh Affairs think tank—and an English teacher at Llanwern High School in Newport, Gwent. His first book, Driving Home Both Ways (Parthian), is a collection of travel essays that explores the relationship between local and the global, diverse and homogenized cultures, Wales and the world. In recent years, Moore has worked to support refugees for The Sanctuary Project in Newport. He also has been a founding co-editor of Wales Arts Review and The Raconteur, as well as working as a contributor to BBC Wales’ Arts Review of the Year and BBC Radio 4’s Last Word. He’s an executive committee member for Wales PEN Cymru. As a fellow, Moore joins a group of predecessors that includes Welsh writers Jon Gower, Tiffany Murray, Fflur Dafydd, Owen Sheers, Eurig Salisbury, Jay Griffiths, and the 2017-2018 fellow Jenny Valentine, whose global exploration of adolescence has resulted in a new documentary to be premiered ahead of the 31st Hay Festival in Wales. In a prepared statement, Moore is quoted, saying, “Having grown up in south Powys in the 1980s and 1990s, Hay Festival has been a fixture of my calendar for as long as I can remember; every year I meet with friends old and new, and never fail to be inspired by the multitude of writers, historians, musicians, radicals and thinkers who grace its many stages. More Hay Festival coverage from Publishing Perspectives is here.